To celebrate the Blog Hop, we're sharing a quick and easy charm pack tutorial as well as a sale on all of our Kate Spain inventory! Save 10% off Kate Spain yardage and precuts now through June 15th - no coupon is needed - prices will adjust when added to your cart. 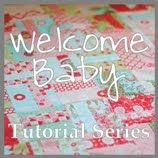 Keep reading for the quilt tutorial as well as links to some of my favorite Kate Spain projects from the past! 4x4 Terrain Quilt finishes approx 45" x 45" square. The first thing you need to do is split up the charm squares into NINE sets of FOUR squares. I sorted them by color for this, but you could go totally scrappy and mix it up if you want. 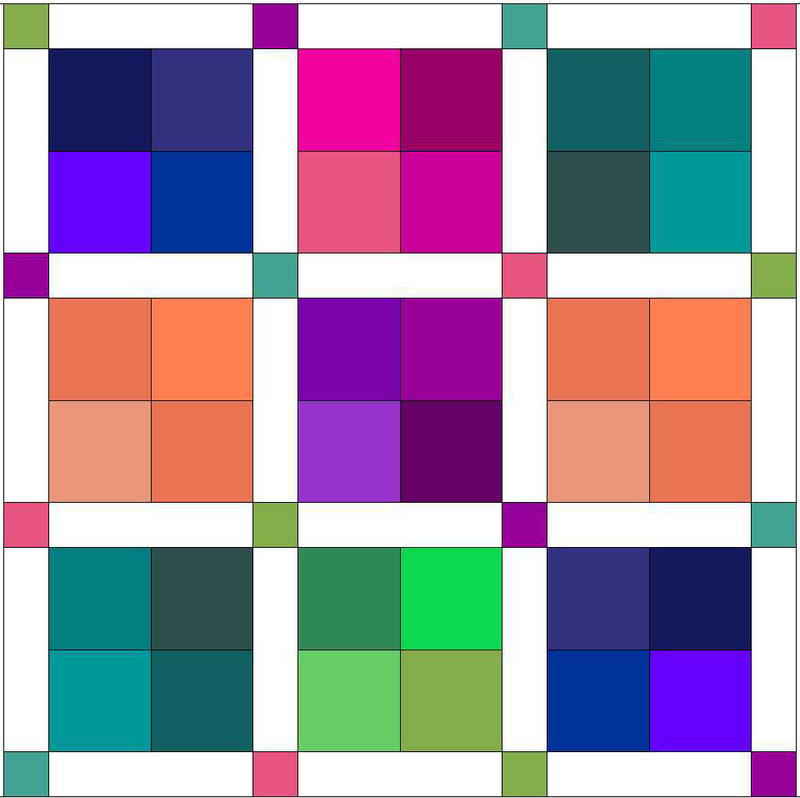 Stitch each set of four charm squares into simple 4-patch blocks. After piecing these blocks, I like to trim up my blocks a little since they can be a little wonky. Trim to 9.5" square. Next, cut the remaining four charm squares into 2.5" squares - for a total of 16 2.5-inch squares. From the background fabric, cut six 2.5" x WOF strips and then subcut each into four 2.5" x 9.5" strips. Piece three rows with sashing in between as shown below. Press toward blocks. 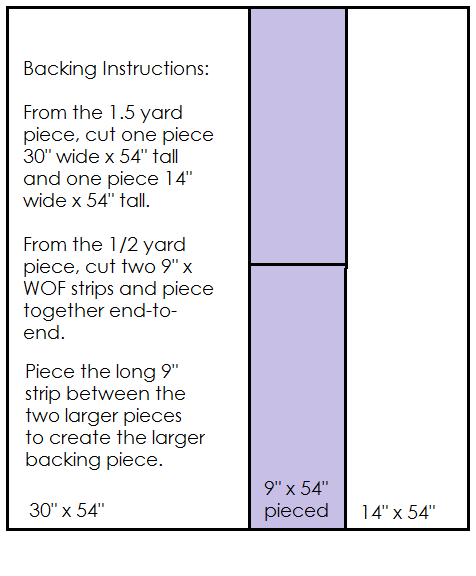 Then piece four sashing strips with the smaller 2.5" squares between background strips as shown below. Press toward 2.5" colored squares. Once you have the larger strips pieced, stitch the rows together, being sure to pin carefully at seams and between. I think it turned out really great. And it was super fast! I hope you'll try it! Thanks so much for stopping by today! 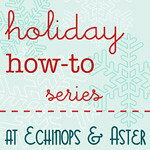 Please check out Alyce's Kate Spain Blog Hop post for details on the remainder of the Blog Hop! Love the four patch! So simple but so effective! I love Kate Spain's fabric lines and your 4X4 Terrain Quilt is gorgeous!! Thanks for sharing a great idea!! What a perfect way to use a charm pack! Thank you!!! 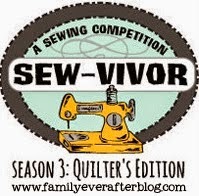 Oh I love all of your Kate Spain fabric projects! 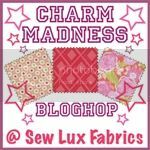 lovely projects for lovely fabric!!! Fun! I have a charm pack I've been wondering what to do with. 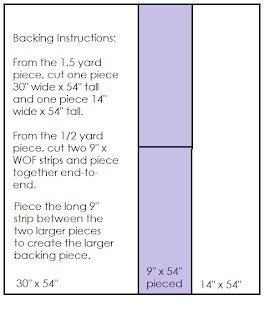 I might just have to go shopping for the backing and then put together this quilt! Thanks for sharing the pattern! Cute projects. 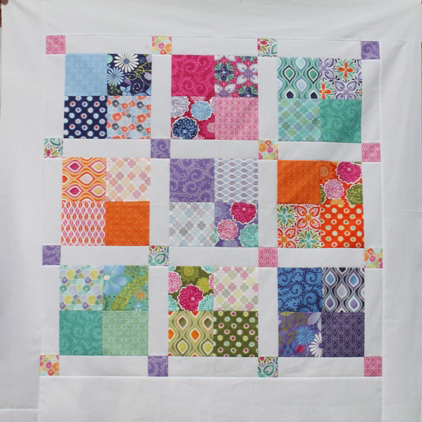 Your quilt would make a great baby quilt.thanks for sharing. I love this tutorial! I just finished one in Honey Honey FQ scraps for a baby gift and it turned out beautifully! Thanks so much for the tutorial! Quick Update - BOM & Winners!